On the Thursday before Good Friday the Guys on the Sewage works told us they they were surprised to be off for the long weekend. They had been scheduled to work through. Of course they were, their deadline to be finished this section looms the closer we get to the 6th of May. There were meetings on the road through out the day. Where would the staff go for the weekend? Were the staff going to be paid for this unscheduled stop? Where would the equipment go for the weekend? Local enquirers were told the election canvassers asked that the works be stopped. The cats enjoyed the additional shade the large white van cast in my yard over the weekend. Councillors didn’t want to get their cars dirty. Would it have killed them to park at the bottom of the lane and walk. We’ve had to and navigate the works for the last month or so. Certainly we’d have thought better of them. Instead as with the run up to every election, for the past decade, they pulled a fast one. Previous years, prior to… the pot holes on the lane would miraculously acquire a dollop of tarred stones topped with a squirt of liquid tar. Naturally any rain insured these flowed out & down the lane at the earliest opportunity. It was notice, they’re coming. This year the lane is a pit of dust, holes, dips & hollows like you wouldn’t believe. 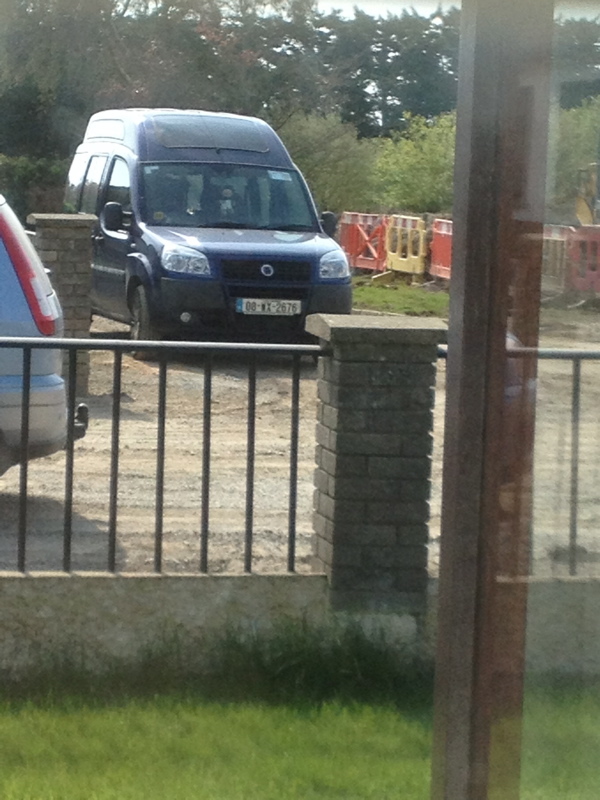 Saturday (19th April) a black van, parked across the road, Philomena & crew disembarked. The road was already congested with mounds of stone. When the bin lorries arrived with black van in situe they couldn’t reverse down one lane to collect recycling. Oblivious the canvassers, happily, trundled from one household to the next. I received a leaflet with a note from Mark Fenlon ‘Sorry i missed you when called’ Mark. No toots!, you just got lucky! Why bring this up now? I received a call from Tony Dempsey he did point out that my issues were all in the past nothing to be done now. True. I pointed out it doesn’t bode we’ll for the future council. The current bunch said one thing, got greedy and did another. Now the cheaper option and damage caused by it, is so far over budget and rising with unpredictable expenses for the future. 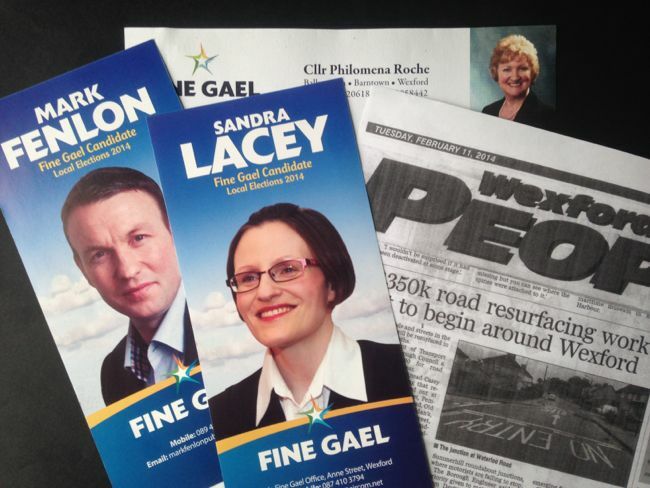 The state of Wexford’s roads shows the public what their elected councillors truly think of their constituents. Where is the pride? I did reread announcements of some intended road surfacing €350k improvements around the county in the Wexford people paper. Oh look! it’s only weeks before the local elections. Don’t hold you’re breath people. Unless your liable to drown in that pothole outside your door.